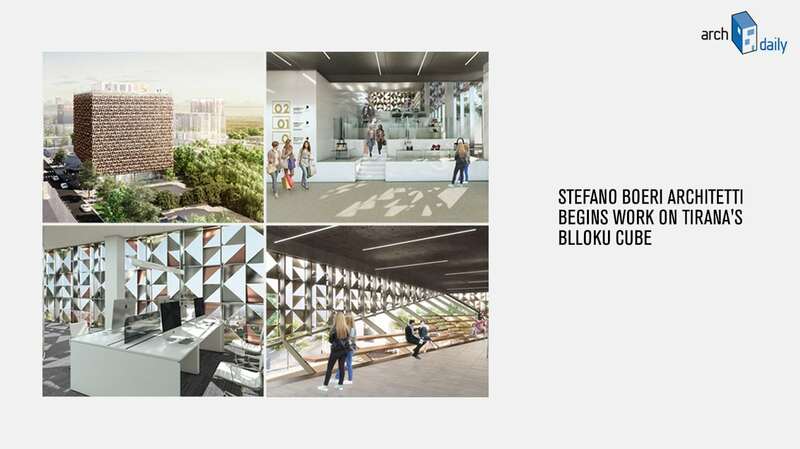 On Archdaily the last Albanese project signed by Stefano Boeri Architetti: the Blloku Cube, a multifunctional building in the heart of Tirana. The building is part of a wider masterplan, Tirana 2030, and it will be the first piece to be completed. The Blloku Cube, located in the homonym neighborhood of the Albanese capital, will represent an important landmark thanks to an anodized aluminum shining cladding composed by triangular modular elements which cover the volume. The double skin also filters the sun light and improves the energy efficiency, creating a dynamic effect of lights and shadows.